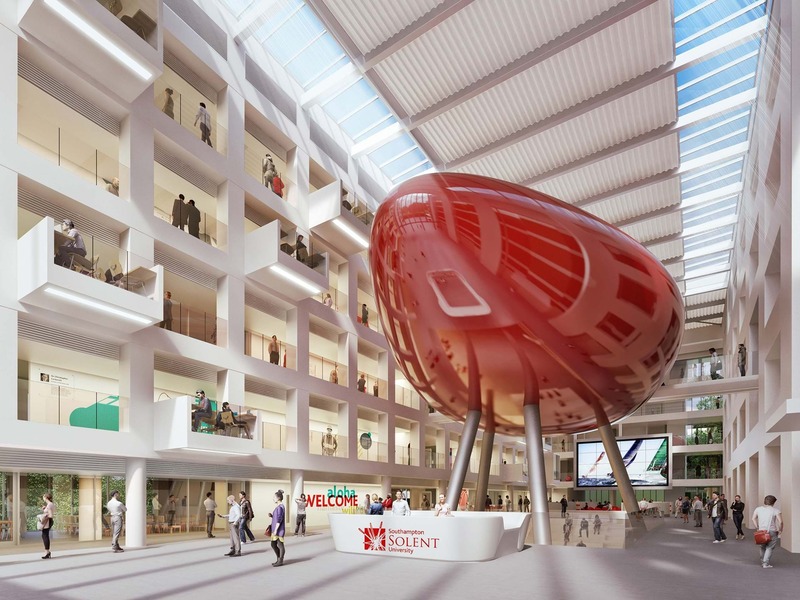 We developed the vision and design for this new academic hub to showcase excellence in learning, teaching, innovation and student achievement. 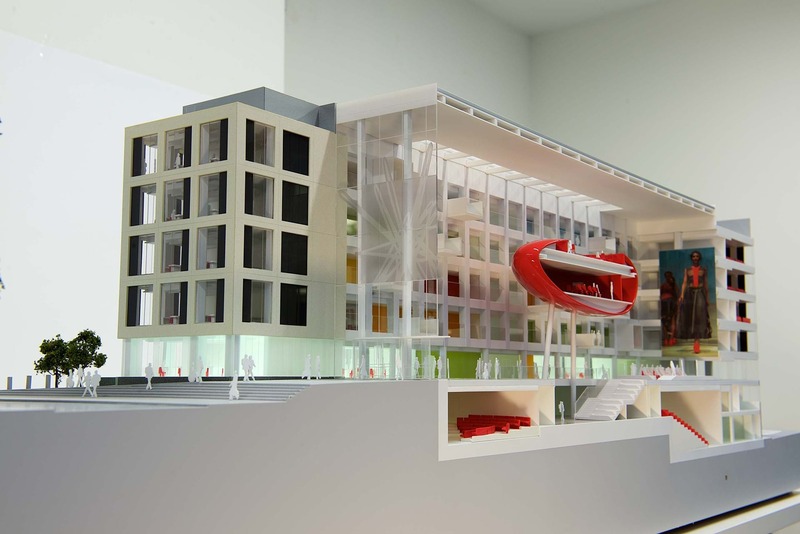 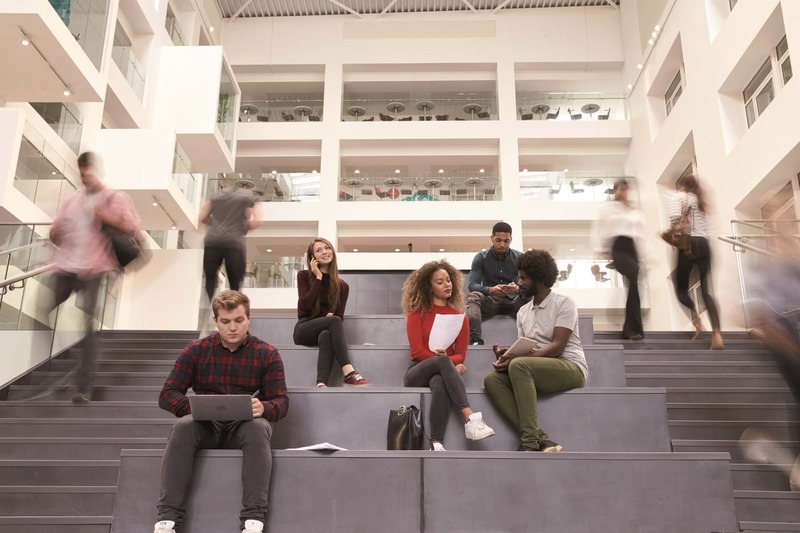 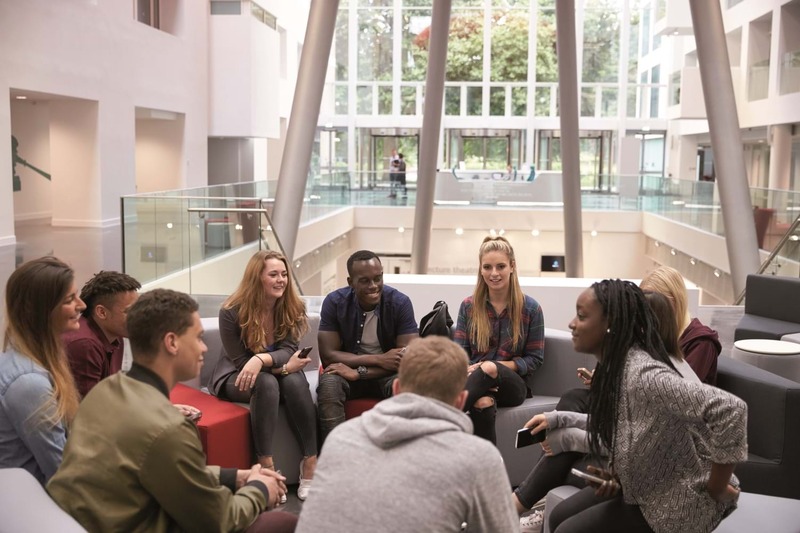 The transformational development provides a ‘mixed economy’ of teaching and learning spaces and replaces all centrally timetabled general teaching accommodation on the campus. 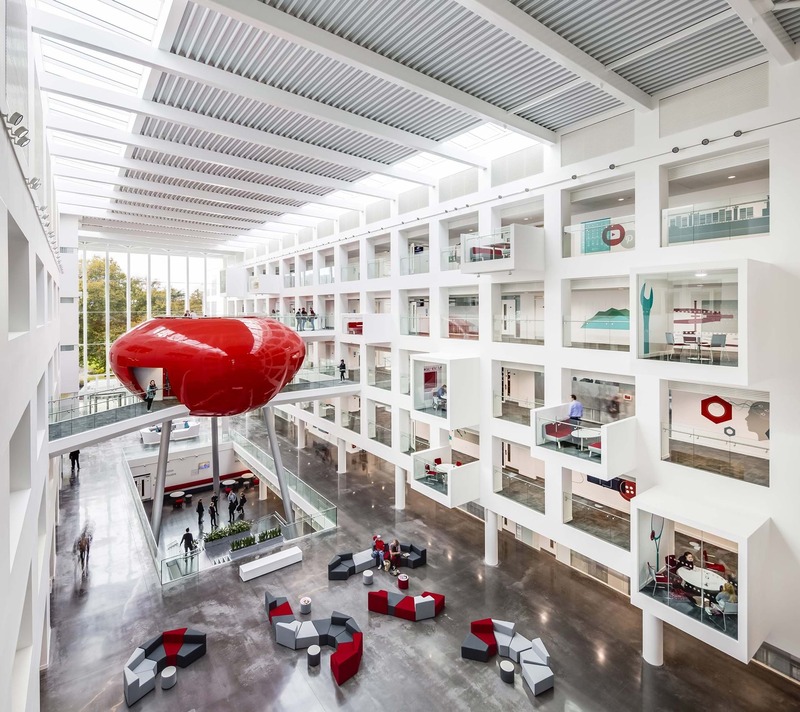 We arranged accommodation over six storeys around an impressive full-height atrium which unifies the new and existing facilities, functions as a major arrival space and is a venue for major events. 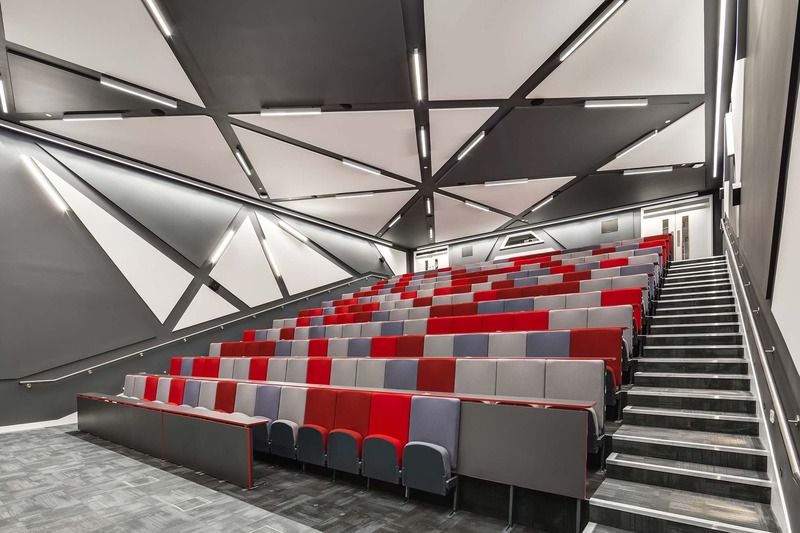 Using the topography of the site we designed lecture theatres below the entrance level. 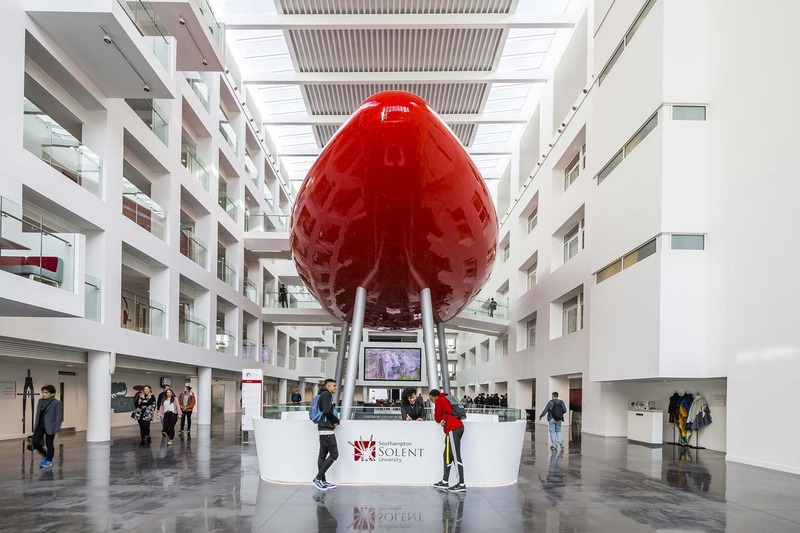 We created a ‘Solent Red’ pod at the centre of the atrium and a HD digital media wall at the far eastern end. 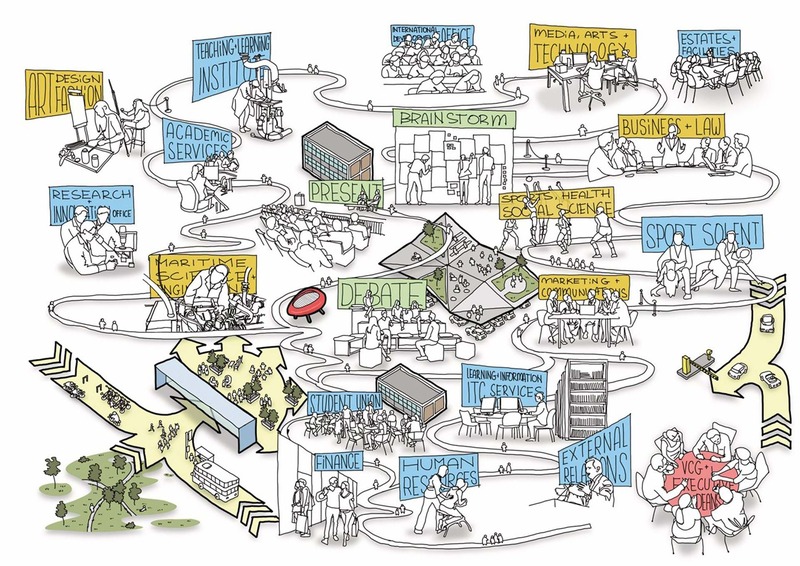 We developed the brief and design working in close collaboration with a wide range of stakeholders, resulting in a transformational development that informs, reinforces and embodies the University’s strategy, vision and brand. 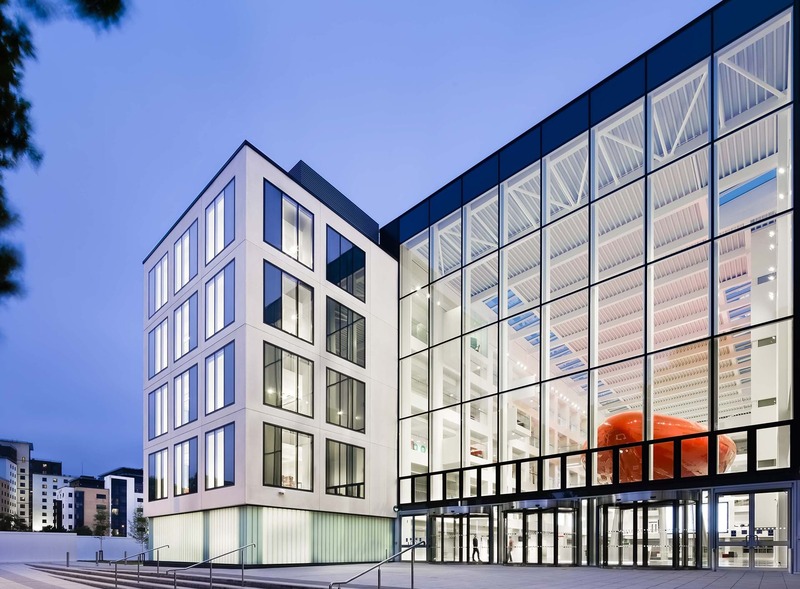 The Spark is highly accessible, BREEAM ‘Excellent’ rated and key construction elements were prefabricated off-site. 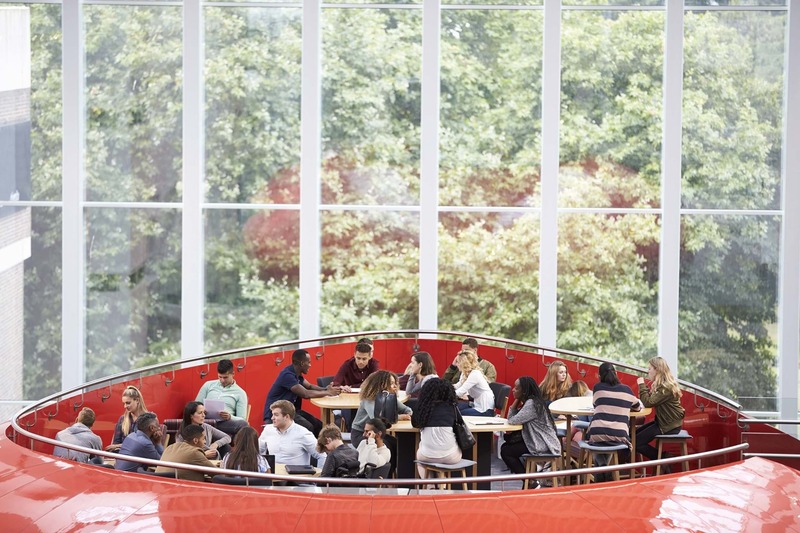 Reinforcing Solent’s commitment to equality and access, The Spark has the largest proportion of agile spaces and furniture compared to others within the sector.